Hybrid Turkeys is the leading primary breeder and distributor of turkey genetics. 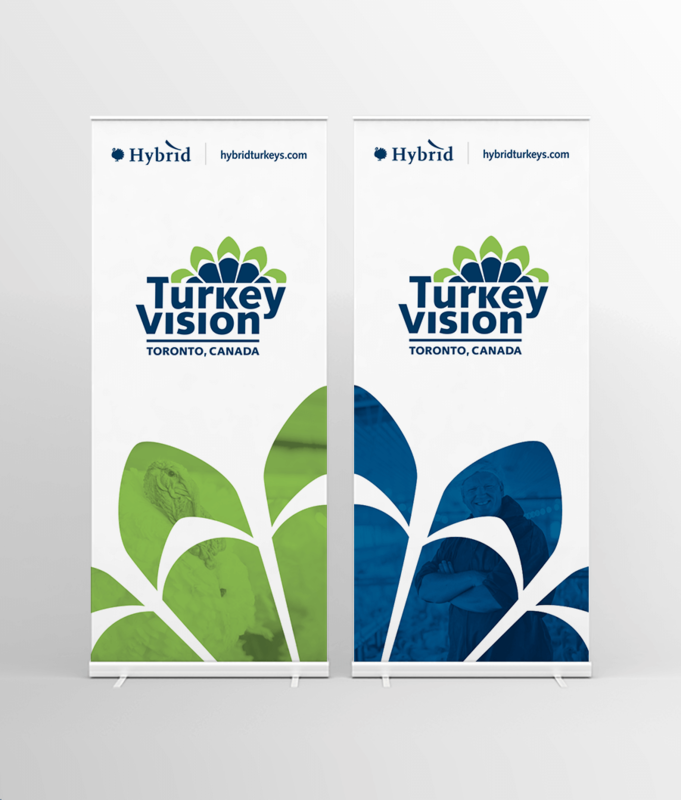 Hybrid supplies high-health parent stock and commercial stock products to turkey producers around the world. 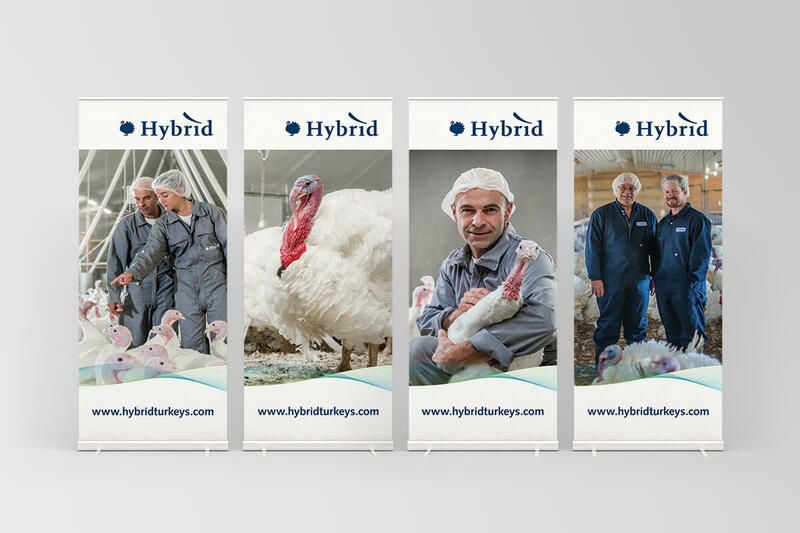 As one of the largest players in the global turkey industry, Hybrid was looking to stand out. 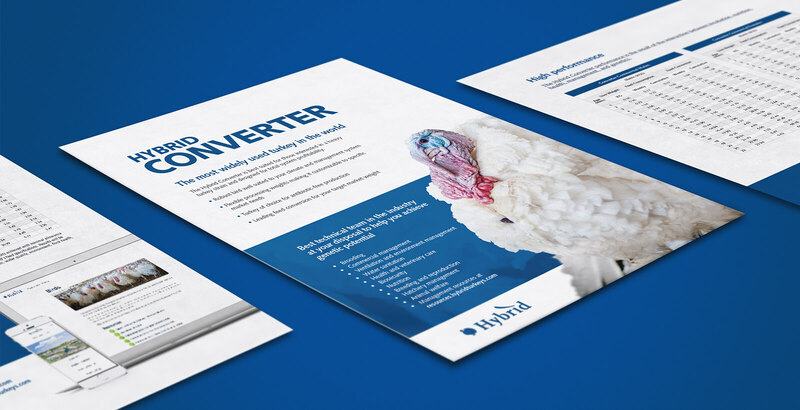 Armed with a new vision for their brand, the Hybrid team contracted Stryve to help formalize their brand strategy and develop sales collateral that supported their new strategic vision. 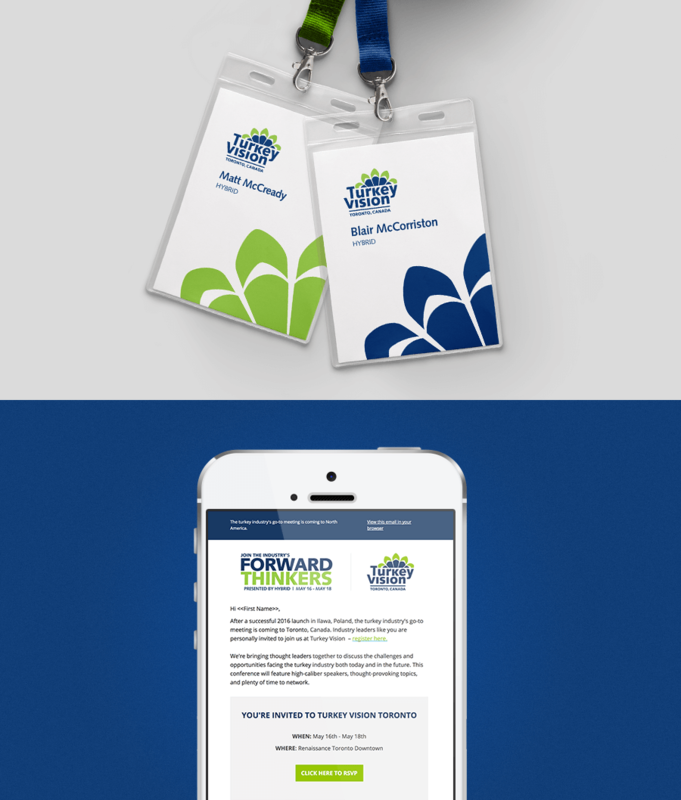 We were first tasked with crystalizing Hybrid’s brand strategy. Together with the Hybrid team, we worked to develop their tone and voice, along with the look and feel for their refreshed brand. As a final product, we developed a brand book which clarifies, in detail, the new vision for the Hybrid brand. 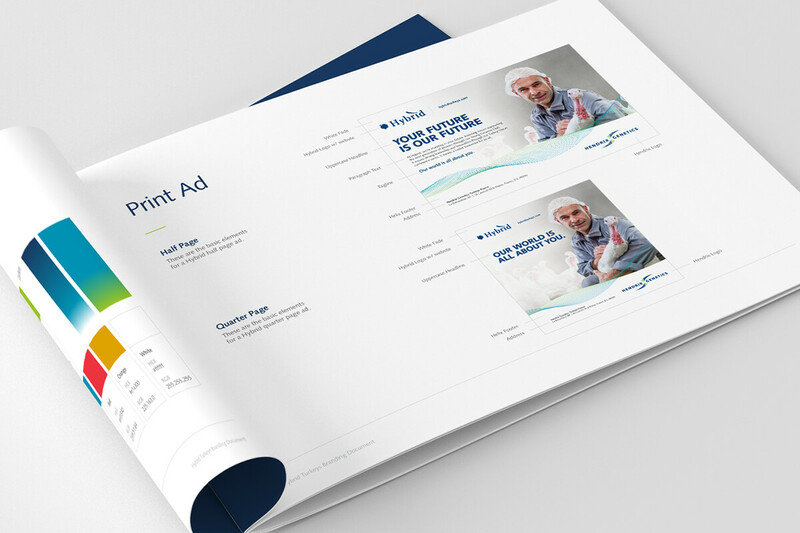 Following the successful brand refresh, we began working with Hybrid on implementing the refreshed brand across multiple touchpoints. We act as an extension to their larger sales and marketing team to deliver materials that will best support their sales cycle. 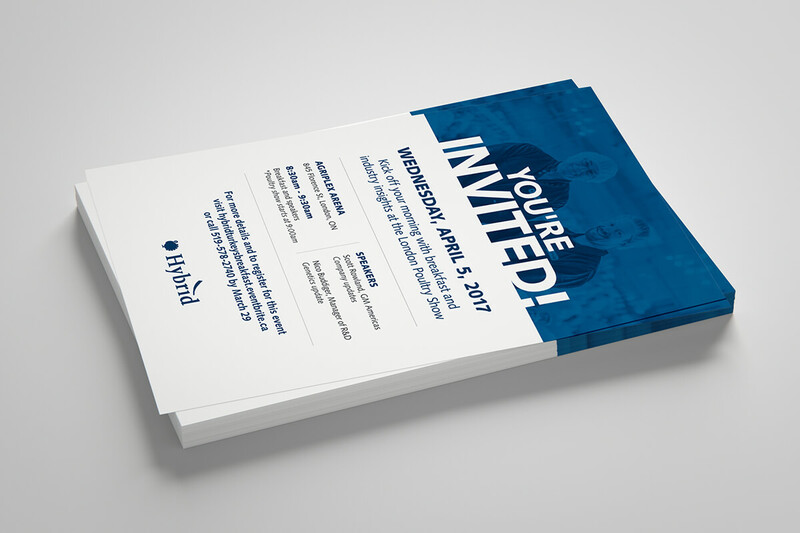 To date, Stryve has designed a variety of assets including brochures, sell sheets, magazine ads, pull-up banners, and trade show booths. 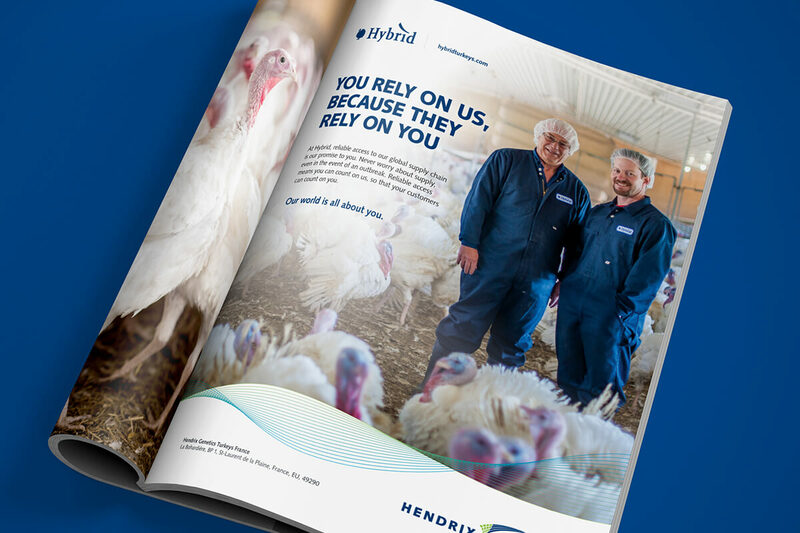 In the hyper-traditional poultry industry, Hybrid’s refreshed marketing assets stand out as modern and polished. A true testament to our success with Hybrid however has been our outstanding working relationship, which began in October 2016 and continues today.